Break the Spell Necklace And Earrings Just $5! You are here: Home / Great Deals / Break the Spell Necklace And Earrings Just $5! How fantastic will this necklace be over paired with a sweater? Order the Break the Spell Necklace And Earrings for Just $5! 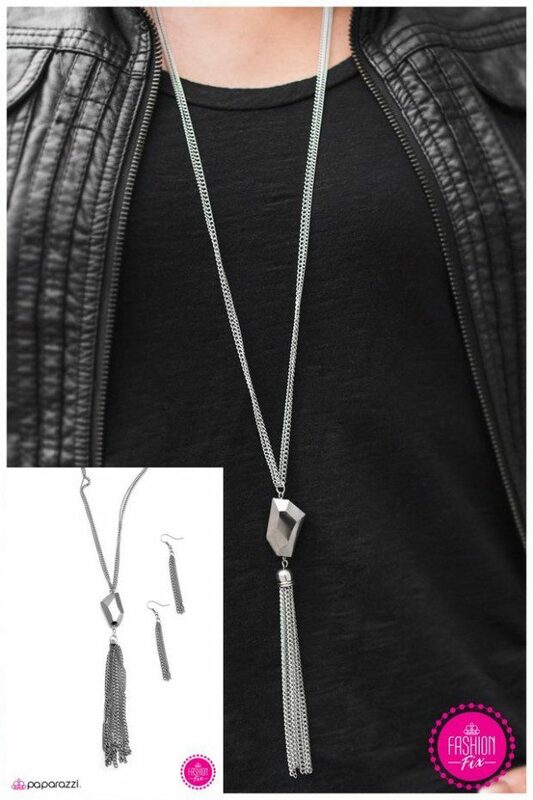 An alluring hematite gem hangs from the bottom of two elongated silver chains. Brushed in a shimmery finish, dainty silver chains cascade from the bottom of the dazzling gem, creating an enchanting tassel! Features an adjustable clasp closure.